My gardens have taken a back seat in my life lately, but just last week I said to myself, that’s it. 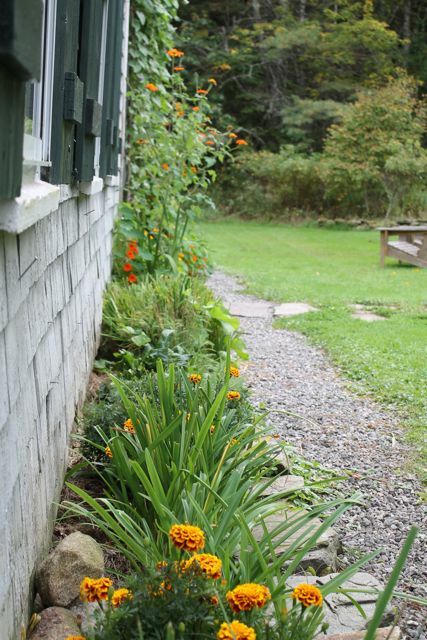 It’s time to organize and clean-up the front flower beds. It’s time to trim away the browning greenery, cut down the lilies gone by, pull out the ever encroaching weeds… in general – tidy up the flowers that are still growing and keep my front entrance looking bright and cheery. But what to do about the gaps left behind from annuals gone past…? ‘Aha’, I thought to myself. 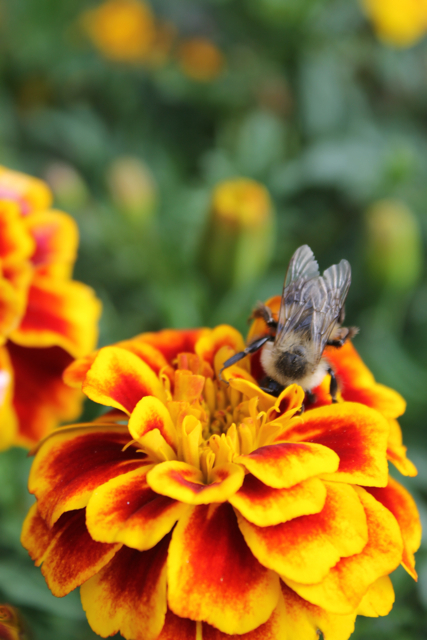 I have some beautiful French Marigolds in the back garden – why not simply transplant a few up front? So that’s what Finn and I did. And while we did leave a few marigolds in the back garden, (we still have swiss chard, gourds and leeks to harvest), the color the transplants added to the front was just what they were needing! 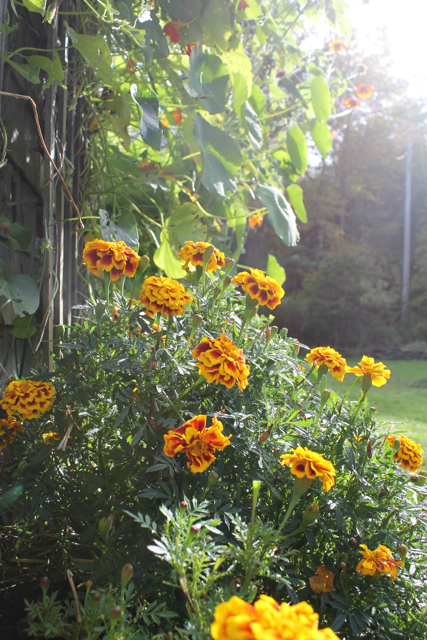 The back and front gardens benefit from these fall beauties. And I didn’t have to buy a thing. If your in need of a change in your flower beds, or want to start a new bed, think about utilizing plants/bulbs elsewhere in your yard. Who doesn’t like free flowers? 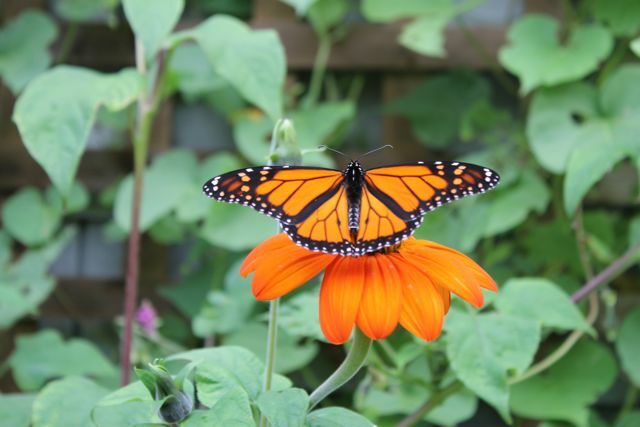 This entry was posted in gardening, home, inspiration, nature, photography and tagged flowers, gardening, home, landscaping, marigolds, monarch butterfly, transplanting by ripe red berries. Bookmark the permalink. Amazing what a bit of tidying up and a few transplants can do. Your butterfly photo is perfect. thank you! I agree, the colors are just right!